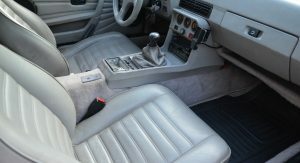 There’s nothing more special to a car collector than owning a truly unique vehicle, and this heavily-customized 1976 Porsche 924 certainly qualifies, as there are only three such models out there. 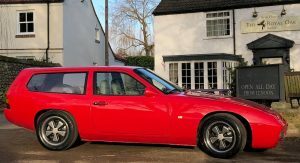 Converted by DP Motorsport into a Shooting Brake, the eBay ad description claims that this is car number 1 of 3, and the only one to feature standard 924 bodywork, whereas the others come with a wider 944 aesthetic. 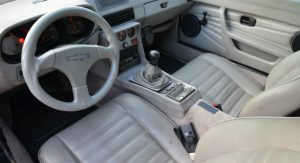 The actual conversion took place in 1986, when the car also received a 924 Turbo spec, with all-turbo running gear, engine and gearbox, 5-spoke alloy wheels and brakes. 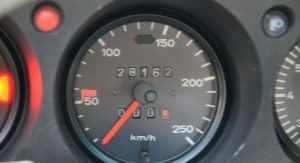 The seller claims that his Porsche has 79,638 miles (128,164 km) on the clock and that it has also been “mechanically renovated”, featuring new brakes, tires, windshield and lights. 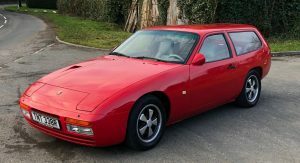 Thanks to its new body style, this 924 has gone from a 2+2 (although you could barely fit anything in the back anyway) to a genuine 5-seater. 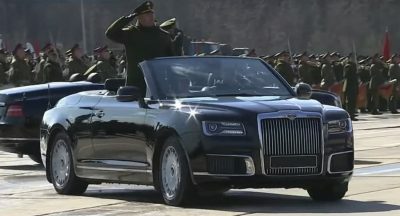 Otherwise, the interior looks mostly stock, apart from that custom steering wheel. 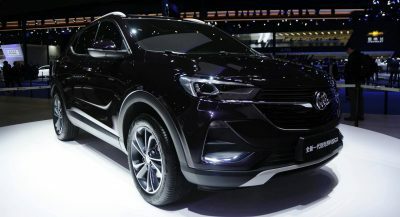 As for the asking price, that would be €33,182, which is just under $38,000. 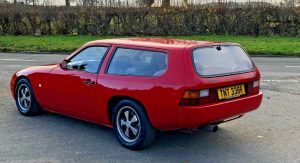 Ultimately, if you find value in owning this car, then we reckon paying that much for it wouldn’t be something you’d regret, especially if you’re into ultra-rare cars or Shooting Brake conversions. 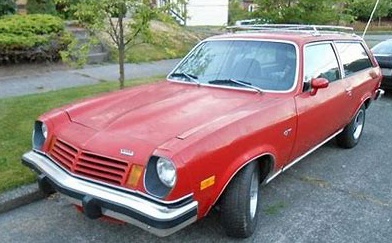 However, if all you want is a used Porsche 924 in your driveway, you can get one for a heck of a lot less than that. 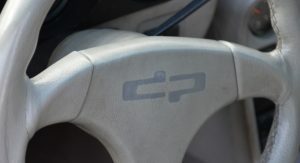 What is the genesis of this sporting brake moniker? In my world this is a f’en Porsche station wagon. I repeat a Porsche station wagon. Looks good, switch the wheels for the 944S2 or Turbo wheels to make it look correct. I DON’T REMEMBER WAY BACK WHEN, DID THEY REFER TO THE VEGA WAGON AS A SHOOTING BRAKE TOO? Strange hybrid. 944 S2 nose. 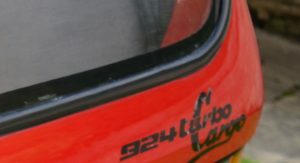 924 turbo bonnet. 924 body. 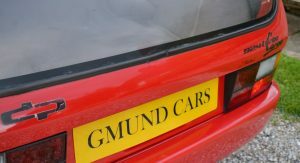 Too skinny rear end, just behind the rear wheels. Actually that is much cheaper than what the owner would pay back in 80s. 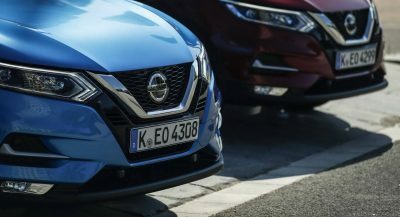 Not sure anyone knows but the reason it got made because one Swedish (I think, one of those nordic country) complained of tax for sportscar. So DP Motorsport made the shooting break with Golf back end (if I recalled correctly) so the owner can apply for regular tax to make it cheaper.. that said the conversion isn’t cheap though. 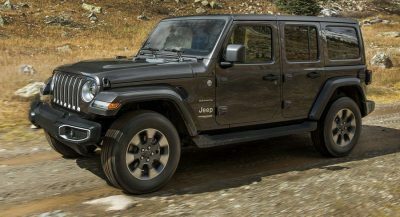 Previous PostPrevious And America’s Best Selling Muscle Car Of 2018 Is….